In her opening remarks, Dr Lo Ying-Ru discussed the challenges that rising costs of healthcare poses to achieving universal health coverage (UHC), particularly in low- and medium-income countries, followed by Professor Pascale Allotey, Director UNU-IIGH who discussed enabling access and the demand side of universal health coverage. 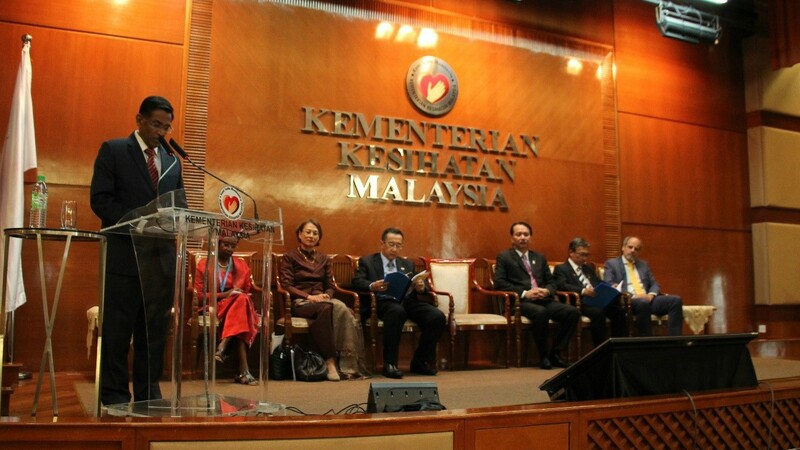 During this speech, Datuk Seri S. Subramaniam talked about the achievements Malaysia has made in UHC to date; before he proceeded to launch the WHO report ‘Monitoring Universal Health Coverage and Health in the Sustainable Development Goals: Baseline Report for the Western Pacific Region 2017’ and the WHD celebration. 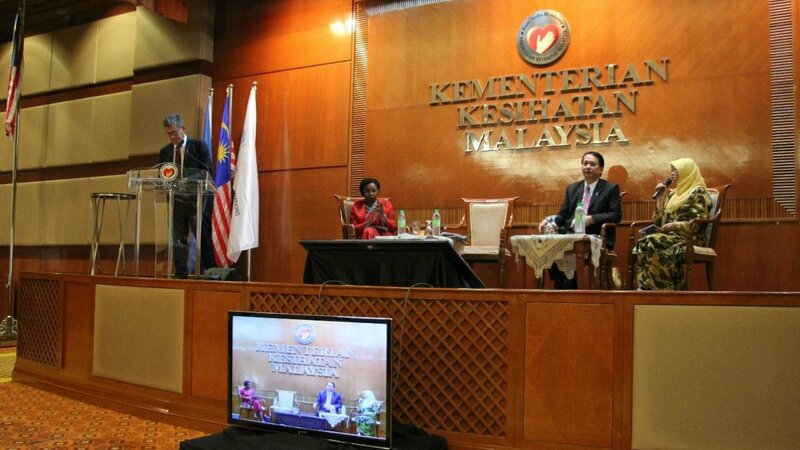 For the second session of the programme, To’ Puan Dr Safurah Jaafar [Associate Professor at the International Medical University (IMU)] moderated the panel discussion featuring Datuk Dr Noor Hisham B. Abdullah, Dr Peter Cowley and Professor Pascale Allotey. 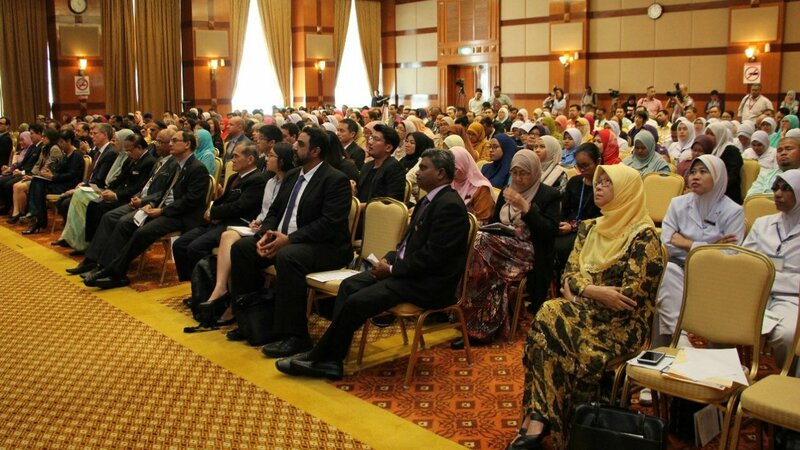 The Datuk Dr. Noor Hisham talked about the ‘epidemic; of non-communicable diseases (NCDs) plaguing the country’, with 1 in 2 Malaysia adults are overweight and a further 17% of the population are found to be obese. In cognizance of this burgeoning public health issue, MoH had launched a nationwide community-based NCD intervention program combining efforts in prompting behavioral changes and public education; with the primary objective to educate public and to halt the increase in the prevalence of NCDs by 2025. The programme is known as KOSPEN trains health volunteers who function as health agents of change or enablers, whose function is to introduce and facilitate healthy living practices in within communities. Datuk Dr Noor Hisham, talked about the foundations for UHC in Malaysia, the need to shift the health focus from clinical care to public health, the challenges of limited resources and high traffic among public hospitals together with possible innovations for meeting this challenges, and concerns about diverging levels of cost and quality between public and private hospitals. Representing the WHO Regional Office for the Western Pacific, Dr Peter Cowley who serves as the Coordinator for Health Policy Financing; presented on WHO recommendations for ‘Sustaining UHC: Health Financing Options’. Citing the shift in diseases patterns and using examples of countries in the region which have adopted some form of national health financing systems; Dr Cowley discussed new initiatives to enhance primary health care and recommended strategies to address the increasing burden of NCDs in the region. He also discussed the rationale for UHC Health financing principles and foundations, voluntary insurance and the risks involved with displacing social insurance, and ideas for the envisioned transformation of health systems to sustain universal health coverage. In conclusion, WHO recommends that governments increase the expenditures on health, especially for PHC through subsidizing social health insurance premiums and/or by increasing state budget allocations. When moving to health insurance, PHC can suffer partly due to the lack of experience and knowledge on PHC performance-based payments, within implementing agencies. He also pointed out that voluntary health insurance may reduce government financial exposure, but often with high out-of-pocket costs (OOPs) as well as increase other financial barriers. This also risks creating a “two-tiered” system and further broadening the inequalities already faced by differing groups within the community. As the final panellist, Professor Allotey shared experiences from the South East Asia Community Observatory (SEACO), a research platform studying population health and well-being located at Segamat, since 20 November 2011. She explained the purpose of the centre and the importance of engaging and obtaining inputs from the community themselves, to collect salient and high-quality data to gain insights into the factors that affect health in a whole of life context. UHC should be seen as an effort to encourage interaction with communities, rather than by enforcing various rules and regulations. She ended her talk by shedding light on some of the challenges faced in increasing community participation and what can be done to improve the situation. For example, through calling for greater accountability, understanding of the values for doing so and expanding collaborations with various stakeholders. Some of notable issues highlighted by audiences during the Q&A session, include the need to integrate immigration, human resources, and health to ensure healthcare for immigrant workers and safeguard public health, and closer coordination with and allocation of resources to NGOs that serve potential HIV-positive persons and other groups that, for various reasons, are reluctant to seek healthcare at MoH hospitals and clinics. While most of the audience agree with the UHC agenda, voices of dispute do remain, particularly with respect to the problem of decentralization and concerns with international agencies’ conditional aid policy. An op-ed published earlier in conjunction with this event can be access here.